The U.S. Department of Environmental Protection has estimated that the air in some homes could contain between two to five times the amounts of air pollution that you would be exposed to on a busy city street. In some cases, the amount of pollution may be as high as 100 times. Today’s energy efficient homes are more airtight than before, which is adding to indoor air quality issues. Many of these symptoms can be directly traced back to your heating and cooling system. 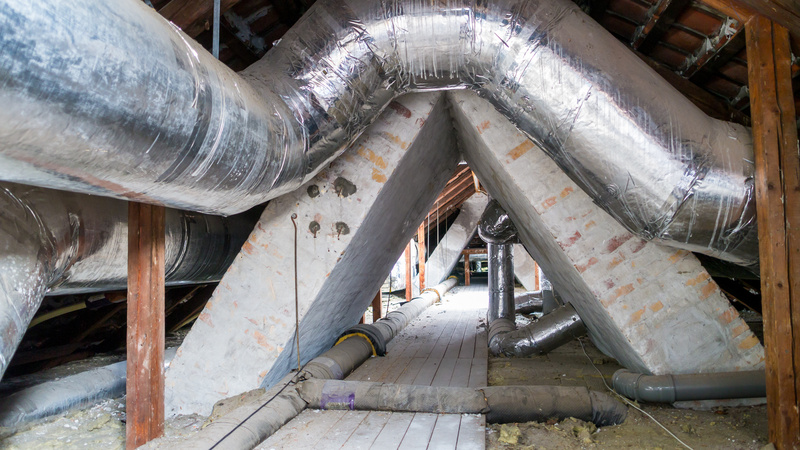 An important part of this system is the network of air ducts and if your air ducts are dirty, the contaminants inside are in the air that you and your family breathe in your home. Once a contaminant enters your indoor environment, it is likely that it will be continually recirculated in the air throughout your home. This generally relates back to the airtightness of your home with limited fresh air being regularly introduced, especially during the cooler months when windows and doors are kept shut. The often warm and dark environment in your air ducts make this area of your home an excellent breeding ground for bacteria, viruses, mold and mildew to grow. This increases the likelihood that you and your family members will be more susceptible to illness during the cooler months. There are ways to fight back and make your home’s air healthier for you and your family. The first place to start is by having your air ducts cleaned. It is suggested that you schedule air duct cleaning services at least every three to five years or more often if needed. Air duct cleaning services include a thorough cleaning of your ductwork to remove any contaminants that may have settled within your ducts. Afterwards, the sanitization process will eliminate bacteria, viruses, and possible traces of mold or mildew. The result is cleaner and fresher air throughout your home that does not pose a threat to your family’s health. To keep the air in your home healthy, you may want to consider other services in addition to air duct cleaning services, such as duct sealing. This process will seal any holes or cracks that will allow contaminants to enter your ductwork and help keep your ductwork cleaner.